The Ding Darling refuge is an inspiring 6,300 acres of purely protected reserve land. With no development allowed and decades of preservation, the region is abundant in wonderful wildlife and some pristine sights and sounds. From December to March, the area alights in migratory bird life. Manatee, dolphin, bald eagles, and more are common preserve sights. Entrance is $5 per vehicle, with federal passes available. Vehicle drivers can enjoy the reserve along the Wildlife Drive. It is an 8-mile one-direction loop through the preserve. You can stop at many small lots along the way to bicycle, hike, and sight-see for wildlife. There are multiple trails for exploration, including the Indigo Trail and the Wulfert Keys Trail. But perhaps the most popular is the Shell Mound Trail. The Shell Mound Trail has some special features that put it in a different class from the pack. The trail is only about ¼ mile long, making it easily accessible by anyone. The entire trail is wheel-chair accessible, and it moves along a clear and flat boardwalk pathway. You can see some isolated natural sights on the trail. There are both small-channel and open water views to sit down and relax aside. You may spot kayakers by the trail’s shoreline. Don’t be afraid of the alligators calmly floating in the waters. They are more interested in napping during the day, though you never want to try to get close. Other common wildlife sights include night herons, white ibis, turtles, frogs, snakes, and raccoons. Though less common, you may also see river otters, bobcats, marsh rabbits, and even clever little wetland mice. This map can provide you with some additional historical details and an overview of the trails along Wildlife Drive. The Shell Mound Trail in Ding Darling is most well-known for, unsurprisingly, its shell mounds. They are the most defining trait of the trail. So what are they? Shell mounds, often called middens, are collections of prehistoric waste. They consist of many different items. Middens may include animal bones, shells, lithics, human waste, and more. In other words, middens are prehistoric dump yards, usually made of items discarded by the local native populations. 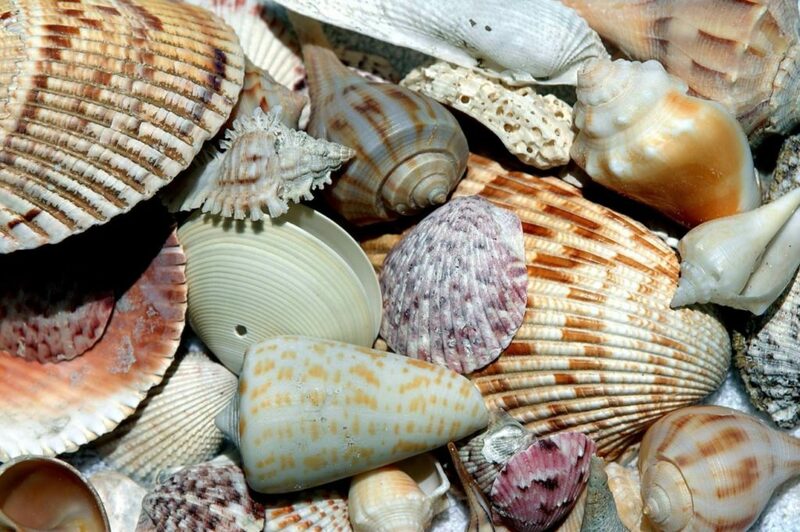 Most of the still-standing middens in the world are located in Florida. Interestingly, these shell mounds have been key sites for anthropologists. They offer an insightful look into prehistoric native cultures, including what they valued, how they handled larger communities, and what they found valuable. The Shell Mound Trail is covered in these impressive sights. While it may seem gross to see them up close, they are upwards of one-thousand years old, standing as fascinating lenses into another era of human culture. Many shell mounds stand as tall pyramids and others were used as ceremonial points. To prepare for any walk in the refuge, always bring sunscreen and insect repellant. Even on cloudy Florida days, you can get a burn. Always try to be as non-invasive as possible by reducing your noise and staying on the trails. Never take home plants or natural artifacts. The community of Sanibel Island has worked tirelessly to protect this massive reserve, and they rely on respectful visitor’s to keep the wildlife habitat secured for generations. While fishing is allowed in some dedicated areas, such as Smith Pond, fishing is not permitted in most locations. In allowed areas, a freshwater fishing license is required. Overall, you can access the park and its trails from 9 a.m. to 4 p.m. The park is only closed on Fridays and is open all holidays (unless it falls on a Friday). Admission to the education center and visitor area is free. Respect the reserve and have an amazing time on one of the largest wetland wildlife refuges in the country. Guided trams are available if you want to take your experience to another level, but you can always cruise the trails at your own speed.